India's e-commerce market is set to grow three times to surpass $100 billion by 2022 and may trigger over a million jobs in the coming years, a report said Friday. According to the report by industry body Nasscom and PwC India, the e-commerce market is worth about $35 billion at present. 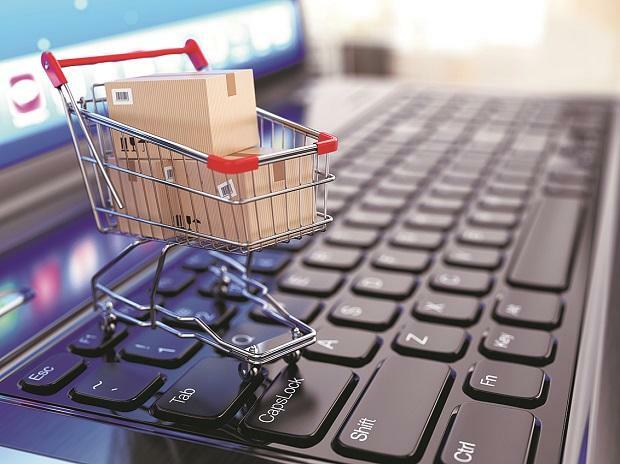 E-tail and e-travel will continue to hold their sway with over 90 per cent share of e-commerce while online financial services will experience the fastest growth, the report said. It also noted that e-commerce can potentially create one million plus jobs by 2023. "The Indian e-commerce market of $35 billion is expected to grow at 25 per cent in the next five years and exceed $100 billion by 2022," it said. It noted that three out of four online customers are expected to come from tier II markets and beyond. "A vast majority of them will be relatively less tech-savvy, seek greater transparency from brand and prefer consuming content in local languages," the report said. It said that next 100 million customers will be "very different" from the existing 50 million and therefore, e-biz players "must Make in India". The report underlines the need for "harmonisation" in the e-commerce policy framework that enables the growth of the sector. The middle class will form the biggest chunk of Indian population and, in the next few years, is likely to consume just as much as their Chinese counterparts do today. Their consumption pattern is expected to eventually supersede that of both the US and China, the report said. "To experience exponential growth in the next phase, existing barriers pertaining to language, tech usability, logistics and regulatory compliances will have to be removed," the report added. Nasscom President Debjani Ghosh said, over the next five years, the sector has the potential to create a million jobs in allied industries such as logistics, warehousing, and others. "The e-commerce sector has been contributing towards various macroeconomic growth parameters, evangelising local businesses and customers...In addition, the FDI attracted enhances the country's positioning significantly on the global stage," Ghosh said. E-commerce companies have to focus on building loyalty which will translate into repeat sales, she added. The report was titled Propelling India towards global leadership in e-commerce'.